You sell very upscale, very unique, or handcrafted items. Amazon's catalog system is much more central to its buying and selling experience. If what you're selling is in Amazon's catalog or very similar to something in it, great! If not, you may have trouble getting eyeballs on Amazon or find yourself buried at the end of search results. In the broadest sense, Amazon buyers tend to be looking for standardized name-brand consumer goods, eBay's buyers for unique goods or unique deals. You're looking for branding, not just selling. eBay's branding potential isn't what it used to be (thanks to the introduction of things like eBay's links policy), but on Amazon, there's virtually no branding ability. You can't have a "presence" on Amazon; shoppers interact with Amazon, not with you, and see almost no evidence of the differences between sellers, much less anything that could be called "personality" or seller "identity." eBay, on the other hand, offers easy-to-use-and-customize storefronts to businesses, seller-created item descriptions and About Me pages, and puts seller member IDs and feedback front and center in listings. For the time being, sellers still maintain an identity on eBay that is separate from eBay's identity, something impossible on Amazon. You want flexibility and control. In many eBay categories, sellers remain free to sell outside of the catalog using hand-generated listings. Sellers are also free to promote their wares with text and images that they, not eBay, choose. eBay goods can be sold with minimal confusion in many different states of repair or completeness, something more difficult to do successfully on Amazon. eBay sellers also set their own shipping policies, return policies, and shipping charges. 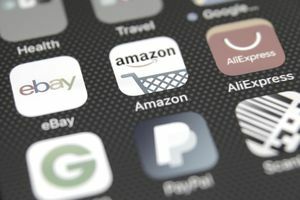 There are limits on eBay—if you accept returns you must give buyers at least a 14-day window, for example—but on Amazon, the policies are narrow and set for you, meaning that returns must be accepted and buyers have 30 days to make them. You want to sell in all categories. Some categories on Amazon (say, those related to consumer electronics) aren't open to all sellers. Instead, sellers go through an approval process that denies many. On eBay sellers sell in most any category once they meet (and maintain) the basic requirements of being an eBay seller: a credit card or bank account on file and not having made your feedback profile private. You want immediate access to revenue. Selling on eBay through PayPal revenue is available the moment the buyers pay. It can be used immediately anywhere that PayPal is accepted, or even anywhere that Mastercard, Visa, or debit payments are accepted for sellers that have applied for a free PayPal debit card. Amazon sellers wait 14 days to see the funds released to their Amazon Payments account, then wait another week or so for the funds to be transferred to their bank account before they can be used. You want to sell using auction format listings. Don't know the value of something or prefer to sell via auction? No luck on Amazon, where you'll have to specify a fixed price for anything you sell, sometimes without guidance if the item is a rare one. On eBay, you can list an auction and let bidders decide how much it sells for. You're selling vehicles or real estate. Amazon doesn't do these kinds of transactions, either. If you're selling Toyotas rather than toys or houses for flipping, there's no reason to consider Amazon. eBay, on the other hand, is a vibrant marketplace in motor vehicles and real estate. You want to sell internationally. Amazon doesn't have the global reach that eBay has at the moment, so if your primary buyers are customers that aren't likely to be in Amazon countries (basically western Europe plus China and Japan, with some of these sites being limited in their catalogs compared to the main U.S. site), you're better off with eBay, which is approaching truly global reach. You're looking for the fastest, easiest route to selling. Amazon's end-to-end selling process is somewhat more complex than eBay's, with the selling-oriented functions of the site somewhat hidden and more difficult to use. There are also delay-inducing options like FBA (Fulfilled by Amazon) to consider if you want to be competitive. Getting started with eBay selling is somewhat simpler. Have a PayPal account? Already have a credit card on file at eBay? Click the "sell" button and follow your nose through the selling form and you're a seller with an active inventory. You want to sell inside a community. eBay isn't the community that it once was thanks to its shifting emphasis in recent years. Nonetheless, eBay's feedback system, its mechanisms for saving favorites (sellers, searches, listings), discussion boards, groups, answer center, and other similar features—and the flexibility that sellers have in creating listings and making buyer-seller discussions public—lend eBay a much more community-oriented feel. These features are what many (including CEO John Donahoe) mean when they refer to eBay as a "flea market" venue; there is always something happening on or around eBay beyond the mere clicking of "Buy" buttons and remitting of payments. With all of this said, it's important to keep two things in mind as you decide where to sell: first, there's no rule that you have to choose one platform to the exclusion of others; second, there's more to the independent e-commerce world than eBay and Amazon, so be sure to check out other alternatives, too, rather than limiting yourself to just one or two platforms.